Vidto.me is hosted in Switzerland and the domain is registered with Nameisp.com, The sites Alexa ranking is very good and shows the site is very well established on the internet, Google page speed result is great and shows the site has 91 out of 100, The site doesn't use social media much so doesn't benefit from the exposure. Description: Vidto Watch publish share videos. To participate in our affiliate program, just enable private files from my account. Max upload video size: 4GB. No storage limit, but don't abuse it as personal storage. Subtitle (.srt) support for videos. No restrictions for users, they can watch as much as they want. 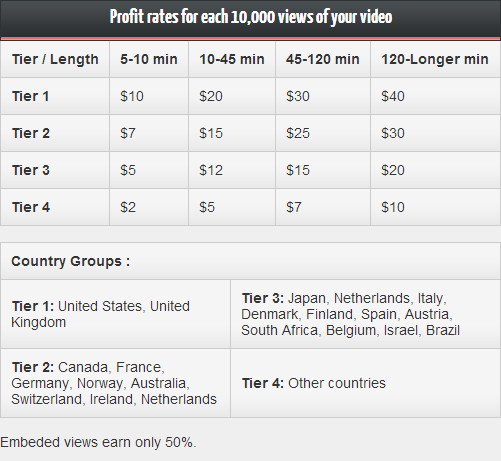 1 view is counted for each IP per 24 hours; user has to view at least 20% of the video. Video run-time must be above 5 minutes. All your videos should abide by our TOS. Payments are made every Tuesday/Wednesday.